There is nothing could compare with the Cotton jacket if it is made of Fine cotton material. 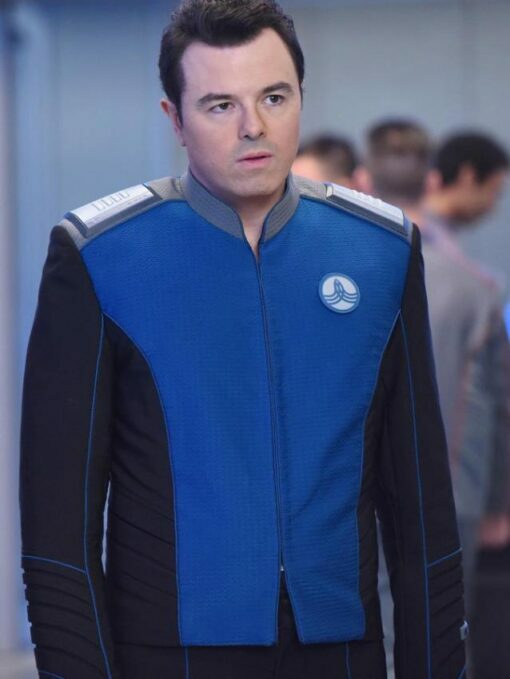 So William Jackets bring the finding quality cotton blend Jacket inspires from the character of since fiction comedy TV serial The Orville. 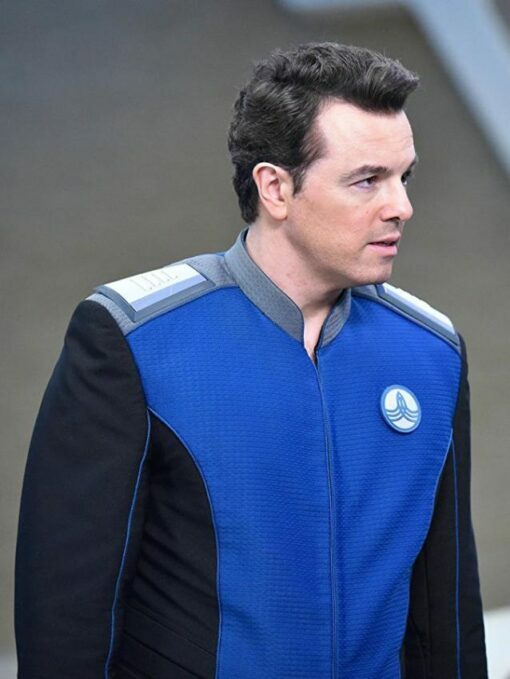 MacFarlane had portrayed the leading character as Ed Mercer. Ed Mercer wore that jacket which now available for you in Fenced zipper closure. It has a soft lining inner side for your ease wearing. It is made with three combination color black and blue. It has full sleeves, sleeves and Jacket sides fronts are same in black color rest of the front area from shoulder to hem is blue in color whereas it has curved mandarin collar which is light gray color along with shoulders. Ed Mercer Jacket is best for the casual wearing as well as formal wearing. I buy quite a lot of jackets from yours, my parcels always turn up on time and the jackets are lovely. There are brilliant sales so you can always grab a bargain.